Happy valentines day! Yes, there are still candygrams.... All the way up to middle school! girl yes i remember secret candy grams. and i remember dealing with mean children...gosh kids can be so cruel. Lindsay that was me in elementary school too. I wish we could have believed that it wasn't as big of a deal as it seemed and that it would get better. Ok I loved this story. Not the you being ousted from the cool kids part! ;) But the you sending yourself a valentine. I totally did that too! Ha I thought I was the only one - but my situation was verrrry similar to yours!! 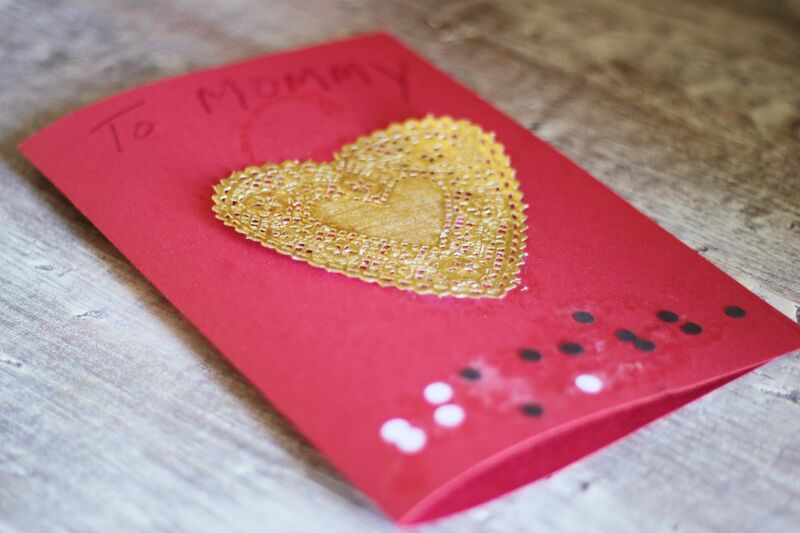 And you're right - being a Mom is definitely beautiful on vday! Happy love day to you Linds!! Oh my gosh Lindsay. That is hilarious. We totally could have hung out in elementary school. I was majorly dorky. I really was not enthralled with elementary - high school. Finally liked college! Ha. I remember the candy grams! Except ours were flowers. I would wait for them too.....and I never got one either. Lame! I'm happy to be a grown-up! That is so sweet! I never got candy grams either in high school. The one time I got brave enough to send one to my crush, the guy ate it without a thank you and laughed at me for having sent him one. The only time I've ever gotten flowers in my life they were from my mother. Now that I'm older, I realize that those flowers are sweeter than any other flowers I could have gotten from any guy. Lindsay, I totally thought you were cool in 5th grade. You were the coolest neighbor ever actually :) And you were way smarter than me with the candy grams... I should have sent myself one too since I never got them either. Those things always make people feel left out - so lame! Have a very happy valentines day with your adorable family! Kids can be so mean. Sorry you got kicked out of the cool group. I don't think I was ever IN the cool group to begin with! I always admired my friends who had their boyfriends in elementary school and now I just think how young and silly that was. A boyfriend on elementary school? Haha it's nice that you can laugh about those type of stories. Happy Valentine's day! I sooo remember the candy grams. Except at my school it was a fundraiser for the senior class and they also sold carnations and singing telegrams. The seniors got to go around all day delivering stuff and singing to kids (private school so we had k4-12th grade). It was annoying when I was a junior but SO fun when I was finally a senior! I never got anything from a crush or secret admirer but my little circle of friends always sent stuff to each other so we all never felt left out. I remember candy grams! They did them in high school and I never wanted all of the attention on me so I was happy I never got one. Your card from Max is heartmelting! awwww! you poor thing! i was so not cool that i didn't know i wasnt cool lol. yeah for candy grams and parents who make good choices! as yes v-days rocks as a parent!